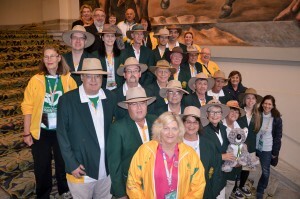 On August 20th, 2015, nineteen Australian organ and tissue transplant recipients and fifteen or so supporters departed Australia to participate in the 20th World Transplant Games in Mar Del Plata, Argentina. 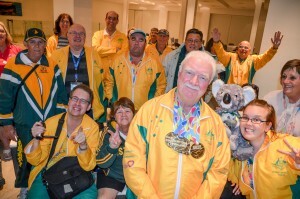 This team was one of our smallest teams to compete in the World Transplant Games in many years. Our team consisted of 12 kidney recipients, 3 liver recipients, 2 double lung recipients and 2 heart recipients, of which there were six female and 13 males competitors ranging in age from 23 years to 71 years. 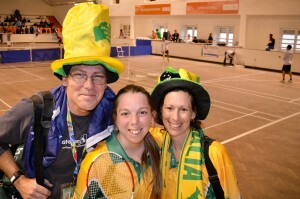 For four of our team, these were their first experience of World Transplant Games. The team was supported by a team manager and assistant team manager (Chris Thomas and David Broit) and team doctor (Dr John Moran). Sandra Hampton and Dr Amy Stevens were donor family and living donor representatives. A number of family members of the team also came along in support. 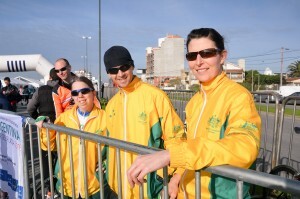 Mar Del Plata is a holiday town for Argentinian summers and the team, along with almost all the other teams stayed in the Grand Hotel Provincial on the beachfront. Meals were held in large dining rooms capable of seating thousands. The bonus of this is that mixing and talking with those from other countries was easy. 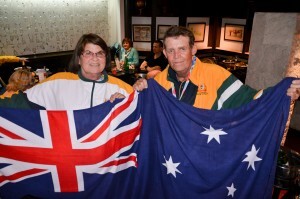 At the opening ceremony of the Games, our flag bearer was Murray Rose who was accompanied in the parade by the four team members for whom these were their first World Transplant Games. As well as the opening formalities, we were treated to an extended tango display. Then the Games began. 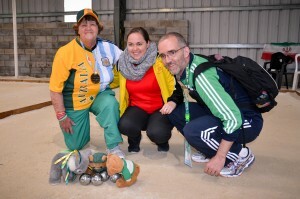 Day one saw our athletes compete in the road race, and the petanque, while volleyball was also played. Day two had golf, squash, 5km cycling, doubles petanque, ten pin bowling, tejo and table tennis. Day three had swimming, 20km cycling, tennis, more bowling, doubles table tennis and more tejo. 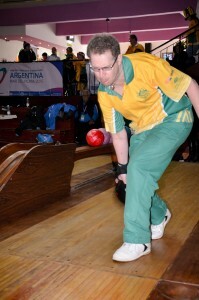 Day four had team golf, swimming, doubles tennis, and doubles ten pin bowling. Athletics and badminton were played on days five and six. 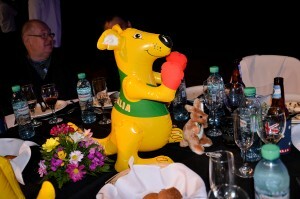 The competition ended with a gala dinner on the final evening. Every evening, we held a team meeting, where our medal winners were cheered. 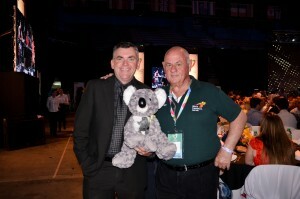 Our team mascot ‘Shazza’ (a large koala), was passed onto the next holder, with the instructions to be in as many photos as possible with people from other teams. This was not usually a problem, as many people from the other countries often approached us eager to have their photo taken with ‘Shazza’. 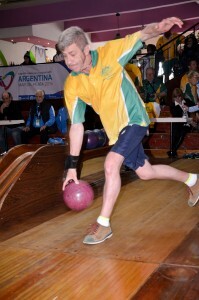 Many of the sporting competitions were extremely well run, and the Argentineans are to be commended. 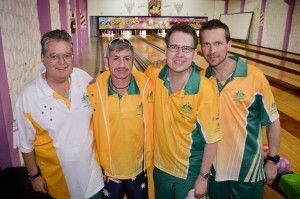 With our small team, Australia ended up with eight gold medals, six silver medals and ten bronze medals. 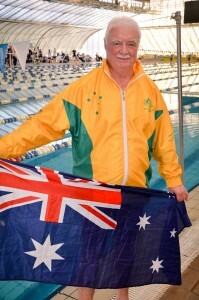 The Australian athlete responsible for five of our eight gold medals was Robert Kirkbride, who smashed swimming world records for his age group (most previously held by Transplant Australia Life member, Ian Patten). 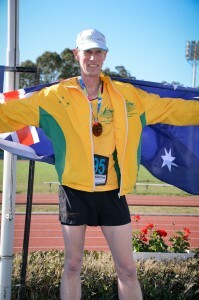 All Australian gold medals were won by our competitors aged over 50 years. 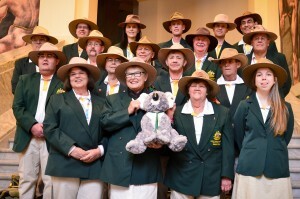 Australia ended up in 13th position in the medal tally overall. 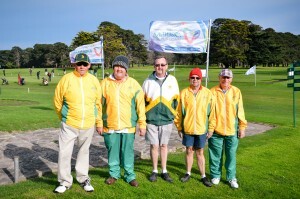 Our Australian tracksuit tops, being so bright and colourful, were often desired by people from other countries, and many of our Australian team members were able to swap their Australian tracksuit tops for those from another country. 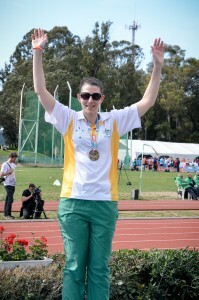 Participation in a World Transplant Games is a great experience, regardless of whether you win a medal or not. The experience and the value of the accommodation and meals etc, is far in excess of what it actually costs. 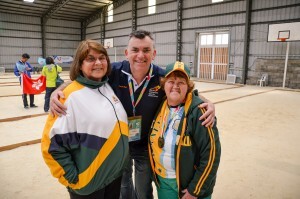 Many of the team also spent another week together getting to see more of Argentina in a post-games tour, which gave everyone a chance to reflect on the games, before returning to Australia (or continuing their tours elsewhere). 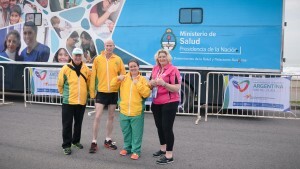 The next World Transplant Games are in Malaga in Spain, in 2017. 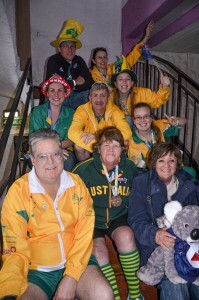 Transplant Australia would like to get back to the ‘good old days’ when we would send a large team of adults and juniors to the World Transplant Games and return to our position near the top of the medal tally. 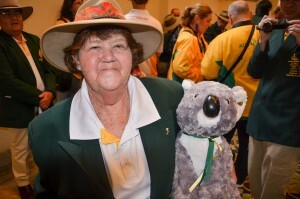 Representing Australia is a privilege that you can experience. 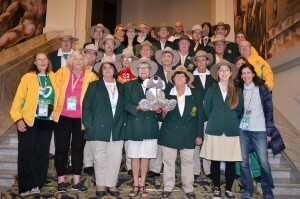 The fact that 15 of our 19 recipient competitors in the 2015 World Transplant Games have been to a previous World Transplant Games demonstrates that we all enjoyed ourselves immensely at World Transplant Games and encourage you all to think about Malaga in 2017. 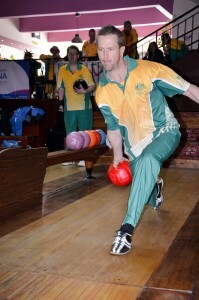 Scroll past the games results to see an image gallery of our team. 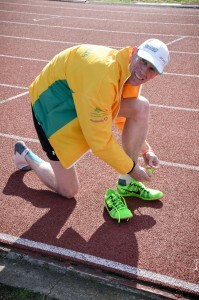 Antony Harding (participant at ten World Transplant Games). 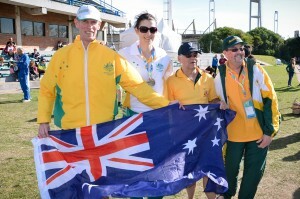 Australian Medal Winners at the World Transplant Games, 2015. 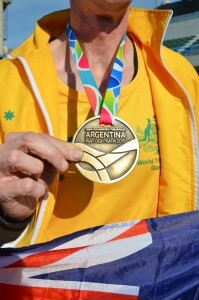 Table Tennis: Singles: F 60-69 years Brenda Gilbert Silver. 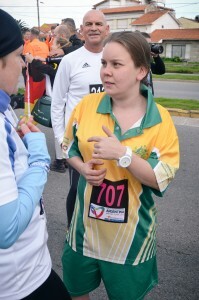 3km walk: Suzanne Halbish F 30-39 years – 4th place. 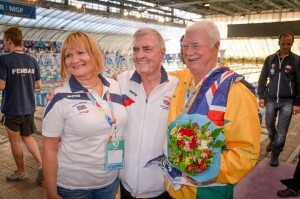 Discus: Alan McKaskill M 60-69 years – 6th place. Javelin: Alan McKaskill M 60-69 years 7th place. Mixed doubles: Tamaryn Stevens & Clayton Walton – 1st round. Doubles: Clayton Walton & Antony Harding M 30-49 years – 1st round. 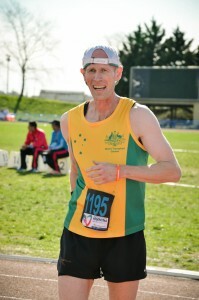 Singles Male 50-59 years Nigel Goldsworthy 10th place gross. Singles: F 60-69 years Brenda Gilbert Silver. Do it for your unit!